When we go to bridal fashion week each season, we almost always see the designers of each collection, but we don’t always get a chance to meet them. Anne Barge was one of the designers we did have the pleasure of meeting this year, and she was even more lovely in person than we could have imagined! She was so warm and friendly, greeting us when we arrived and taking the time to get to know us and our boutique. We talked about how we all became interested bridal, and she even let us in on how she gets the ideas for some of her designs. Talk about inspiring! 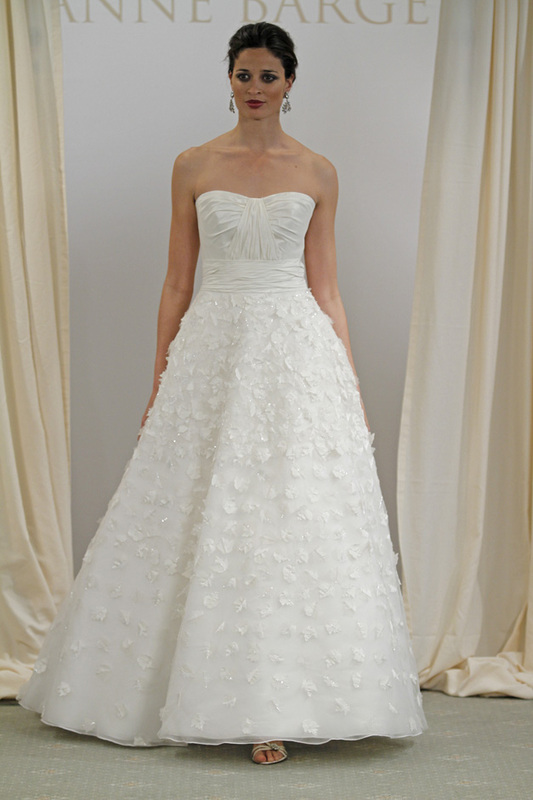 In just a few short weeks we will have some of her gowns arriving in the store, and wanted you to be the first to know!